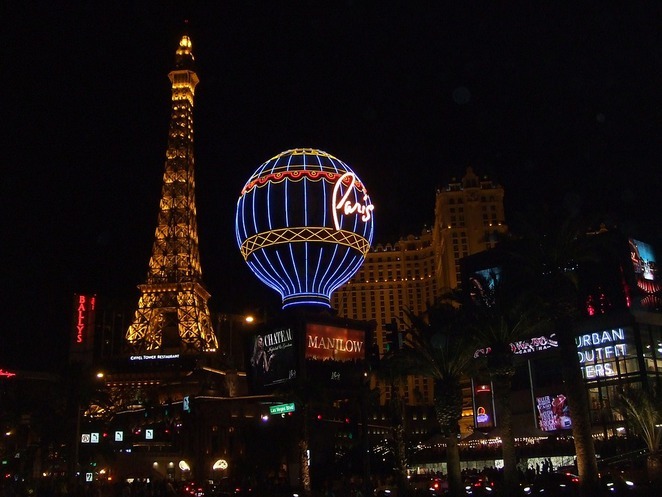 Las Vegas is famous (or infamous, rather) for its nightlife. However, you don't need to be shut away in a casino, throwing your life savings into a slot machine, or gambling your kids' college money away on red or black, to have fun. It is perfectly acceptable to go to Las Vegas and NOT gamble. I've done it many a time and enjoy the atmosphere and lights outside more than being inside. he exception to this is when there'a a cocktail bar nearby, obviously. I have no objection to gambling, you understand, I'm just not that interested in doing it. I like to get outside and, well, wander. And, although you may not think it, Las Vegas is an excellent place to do this when the sun begins to go down. 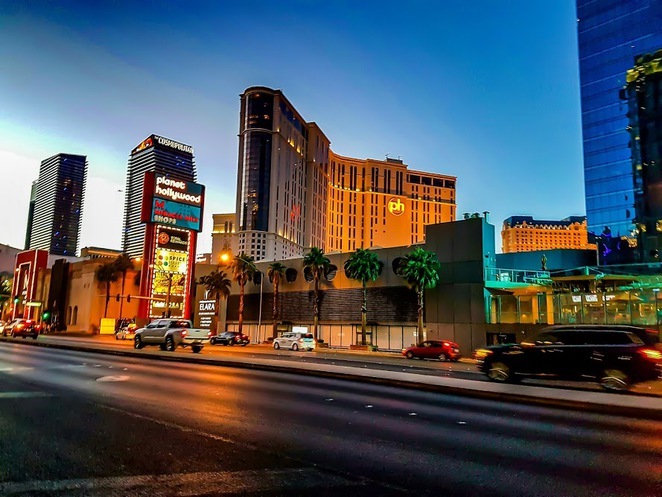 The Strip is always busy, so there's always a pleasant atmosphere and there are lights and amazing structures, quite literally, around every single corner. In fact, quite often you end up twisting and turning, working out where to focus your attention first. Another excellent thing about Las Vegas (although I daresay it gets a bit riotous at times) is that you can take your drink outside with you. 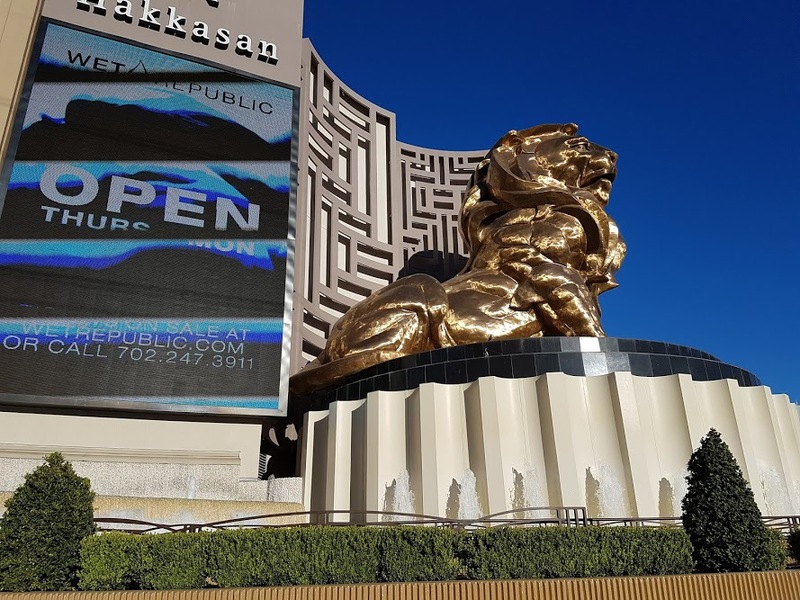 So, like me, if you pick up a frozen cocktail at one casino and then decide to hit The Strip, you don't have to finish up your drink before you head out. It's perfectly legal to drink in the streets. This has a lot of advantages and you can conduct your own frozen slushie tour around the city. Who could ask for more? It's like taking a world tour on foot. You can visit Egypt, Paris, Rome, Venice, New York and a whole host more in the space of an hour. AND you can get legit exercise at the same time. 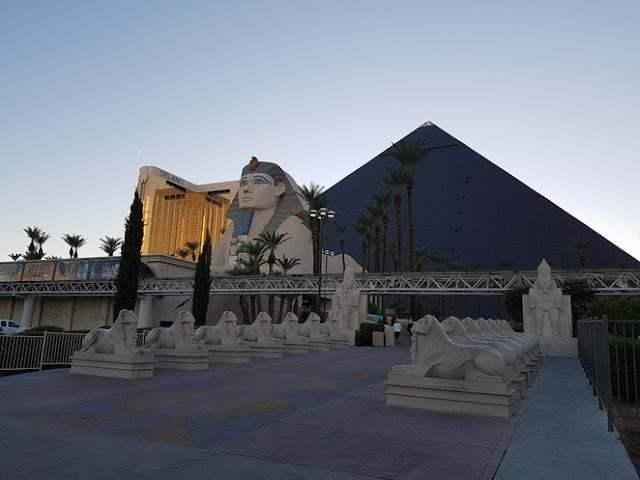 Starting at the North end of Las Vegas Boulevard, you'll find the Luxor hotel, with its massive glass pyramid and fabulous Sphinx, obelisks and wonderful hieroglyphics. If you love taking selfies as much as my husband, you've come to the right place. Seriously - there was a queue of people waiting to snap themselves in the middle of the desert, kissing the Spinx or touching the top of the Pyramid. We didn't do that. Mainly because I didn't want to risk spilling my blueberry cocktail. I have my priorities. Just like the real Pyramids, it's in the desert and it's really hot. The similarities end there, though. 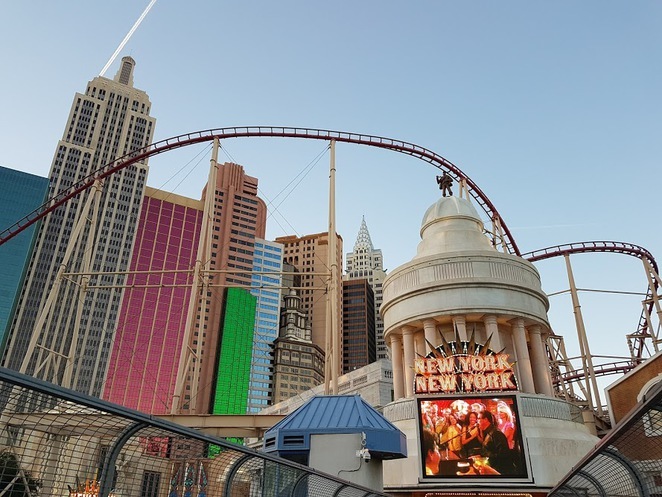 Not far from the Luxor is New York, New York Hotel and Casino, which has a series of buildings outside which represent the classes BY skyline. This includes the iconic Chrysler Building, Empire State and Grand Central Terminal, amongst others. The casino is impressive inside, but I do love the outside more. It loos fantastic at night, but also with the setting sun glinting off the rear views of the facades. 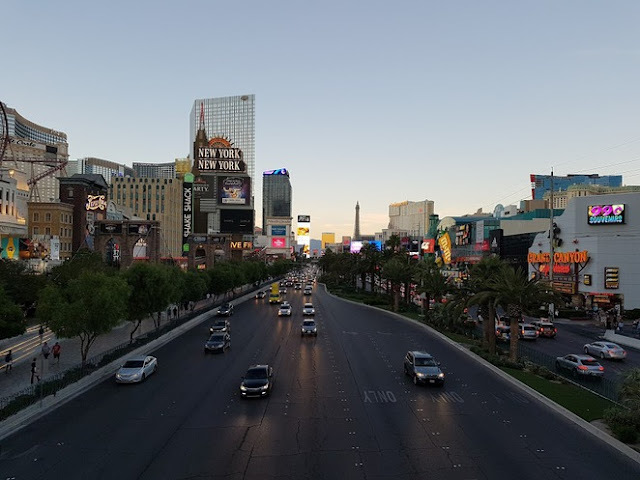 As the sun begins to fade on another day and the lights begin to illuminate The Strip, Las Vegas completely transforms. It's hardly sleepy in daylight hours, but it comes alive even more (if that's at all possible) at nightfall, when groups, couples and individual spill on to the street to see what the evening brings. Generally, evening equals madness in Las Vegas, but you can rein this in or go full whack; it's entirely up to you. Me? I just love walking around the city when it's transitioning between day and night. There's always, always a sense of the unknown and it's undoubtedly at its best (in my opinion) when the crowds have gone home to get changed and are just starting to emerge for another crazy night. If you continue to walk down The Strip you will, without a doubt, spot the Eiffel Tower. 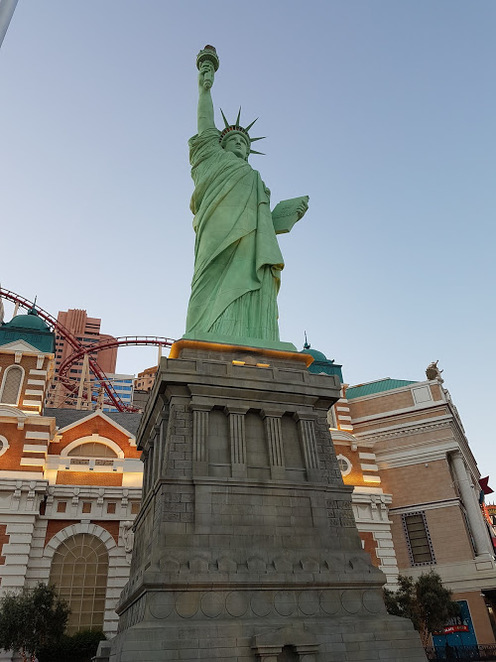 This structure, attached to the Paris Hotel and Casino, is exactly half the size of the real thing and is lit up just as impressively as the original. The tower looks good during the day, but that's nothing compared to watching it twinkle in the dark. 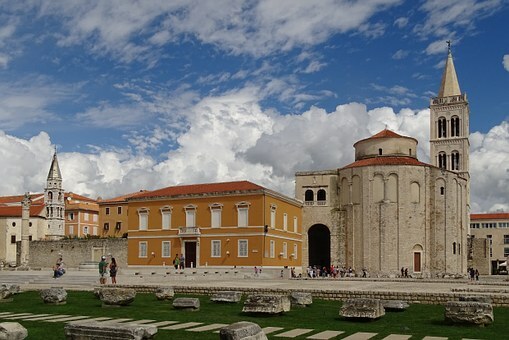 Once you've marvelled at this little engineering gem, you can continue south towards the Roman themed Caesar's Palace. 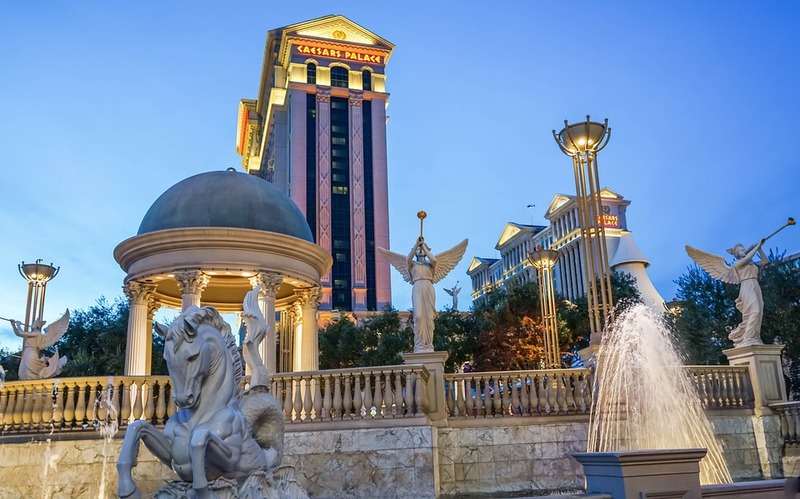 Aside from the hotel and its romanesque pillars, it also has a fantastic double of the Trevi Fountain, which is incredibly detailed and seems quite peaceful, despite its city centre location. Much like the real one. Caesar's also has an impressive range of other fountains in its complex. 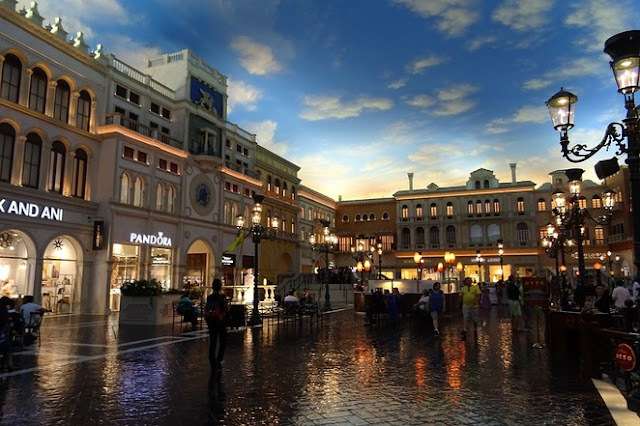 If the sights of ancient Rome aren't enough to wear out your camera, continue walking towards the south of the boulevard until you reach the Venetian. This might be my favourite of all the themed hotels on The Strip as it really does go the extra mile. 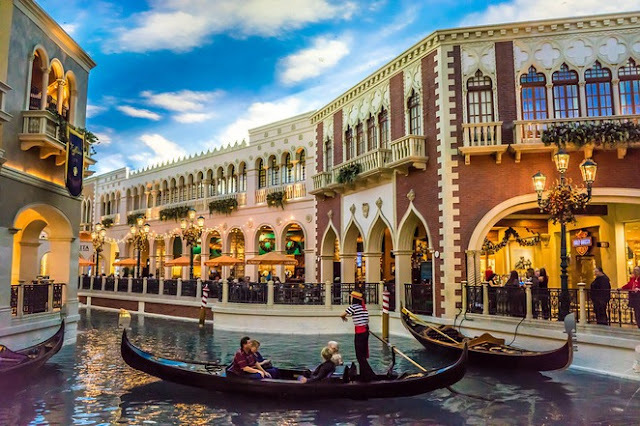 The Venetian boasts a gorgeous copy of the Rialto Bridge from the watery Italian city. And if that wasn't enough, it comes complete with canals. I'm not even kidding. You can actually hop a gondola (if you're a resident) and glide on down to the bar (hopefully) with your very own stereotypically dressed gondolier. Once you've finished that frozen cocktail you purchased way back up near The Luxor (remember that? 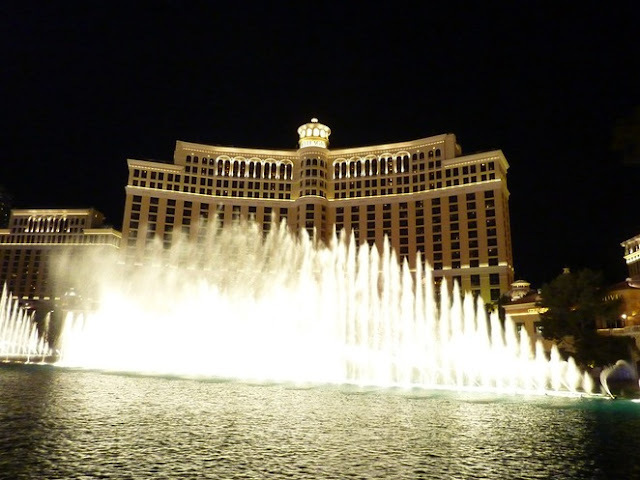 ), grab yourself another one and finish off your walk with the piece de resistance of lights, water and magic on the Las Vegas Strip by stopping off by The Bellagio, leaning against the railings and taking in the fabulous fountain show. I first saw this at the end of Ocean's Eleven, which is my barometer for everything I want to see in LV, and it made me want to rob casinos so badly. I jest, of course, I just wanted to watch the fountains in the company of George Clooney. That's not too much to ask, is it? Apparently, it is, so I watched with my handsome hubby instead.